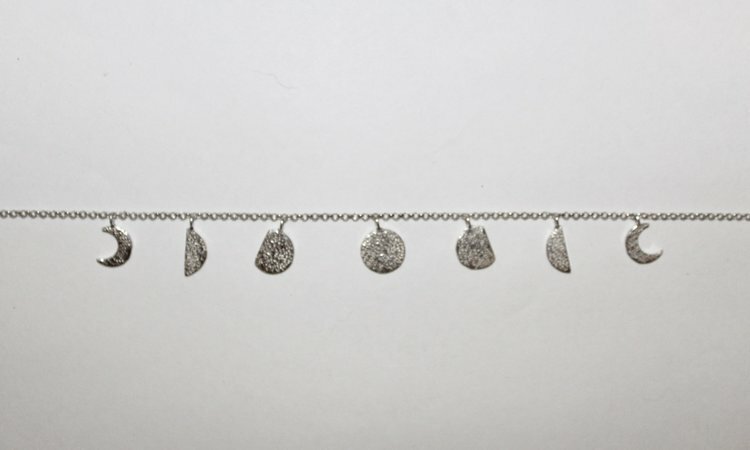 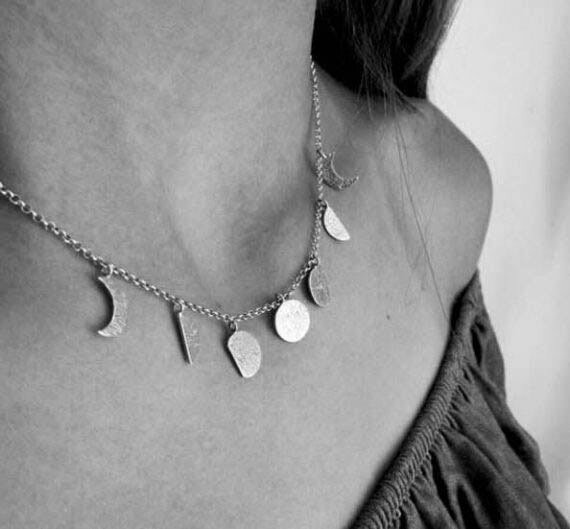 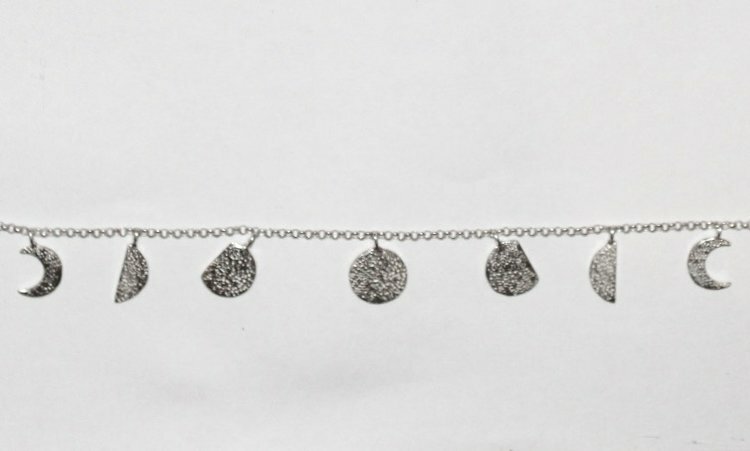 Necklace featuring the moon calendar with 7 hanging moons with stardust surface texture in silver. 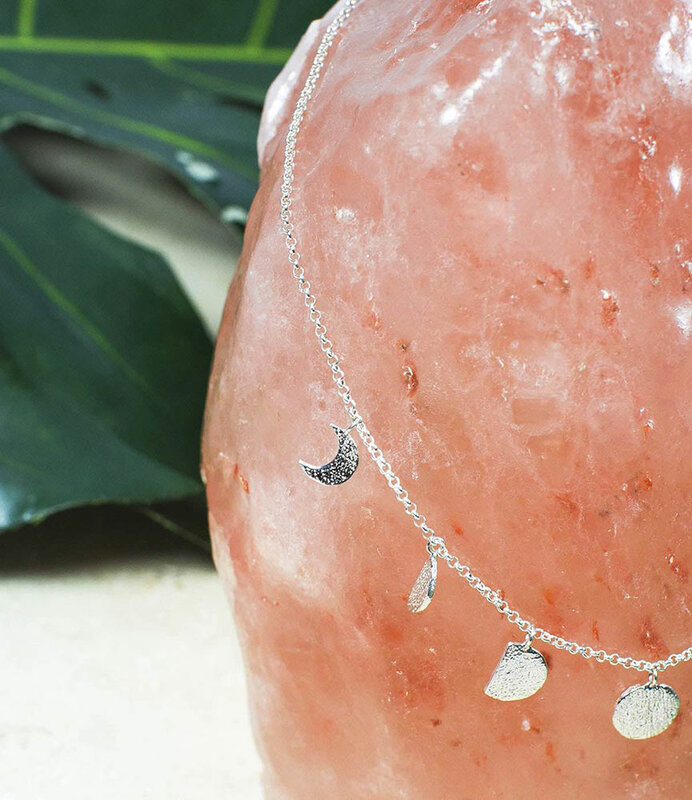 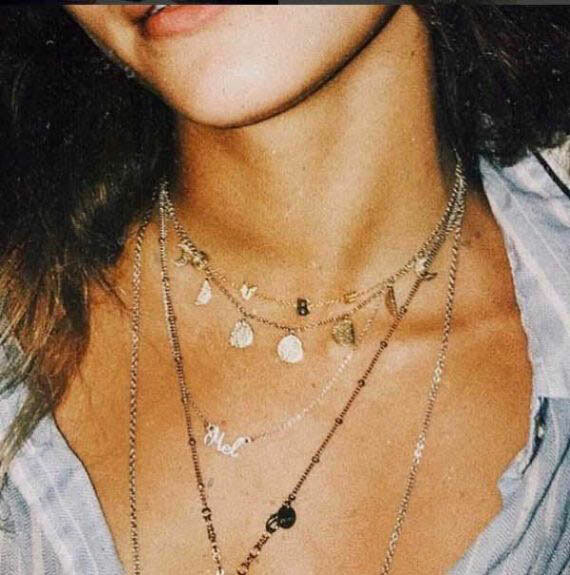 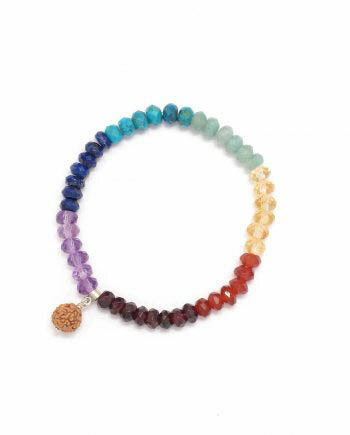 Carry the moon, her dreams and magnetic power around your neck. 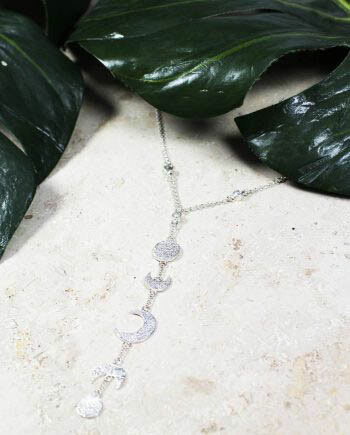 You beautiful moon babe! 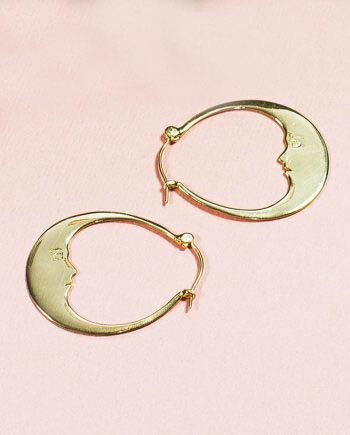 Also available in gold, click here for those babies.